The world of technology has grown exponentially more complex. It’s difficult to determine what technology you need in order to run your business, how that technology should be managed, and how it should grow with your organization. MediaBR delivers cutting-edge network and server management solutions to companies just like yours throughout Massachusetts. We’ll analyze your needs, consult with you about your business goals and requirements, and create a custom implementation plan that includes everything required for business growth, stability and success. 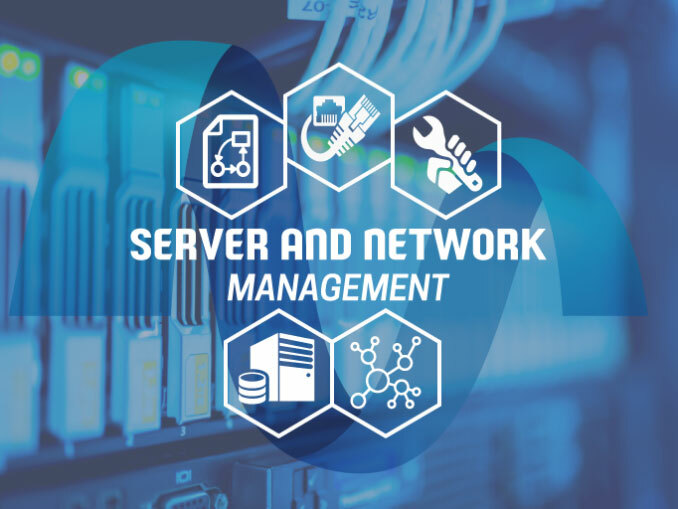 In addition to professional planning, we provide full cabling service to connect servers, workstations, routers, and all the other elements required for a robust, stable business network. We don’t stop with planning and cabling. Whether you need a brand-new server installed, physical firewalls set up, workstations installed, routers and switches – we install everything required. Once we have your hardware installed, we’ll set up your network and configure it to your usage needs. Whether you have two workstations or twenty workstations, one server or an entire server room, virtual servers, hypervisors or something completely different, we’ll handle it all. Your network and server needs don’t end with installation. Your network must be professionally managed at all times, and we have you covered there, as well. We’re by your side 24/7. Interested in learning more about our network and server management options? Contact us today.